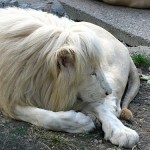 In fact, it is hard to determine exactly how many white lions live today. 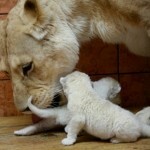 Because held in captive, and subject of breeding and hunting operations, and it is impossible to keep adequate records. 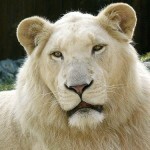 However, based on available evidence, The Global White Lion Protection Trust estimates there are 500 White Lions world-wide. 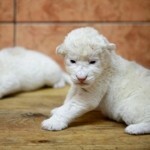 And in particular, the Belgrade zoo in Serbia has 12 white lions. 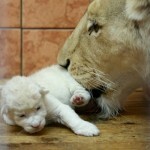 Born in 2010 by two female lions four baby lions, each of them had weight about 1.5kg (3.3 pounds). 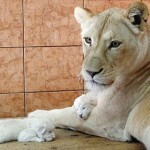 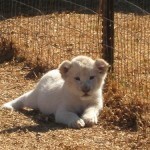 In addition, four more white lions were born in April 2011. 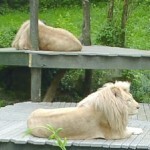 Noteworthy, in 2009 the zoo received an award for its professional care for animals. 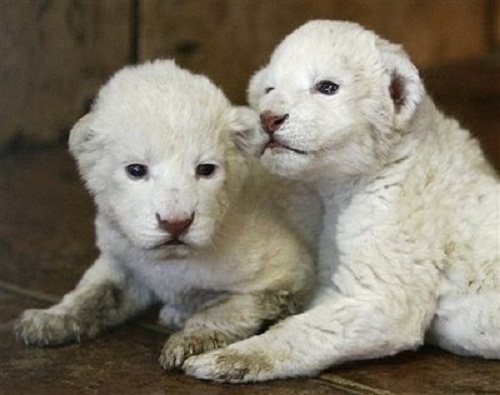 Seen in their enclosure at Belgrade Zoo, Serbia, Wednesday, Dec. 10, 2008 two white lion cubs. 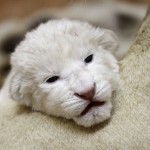 The cubs, an extremely rare subspecies of the African lion, born December 9, in Belgrade Zoo, that now has five white lions. 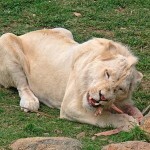 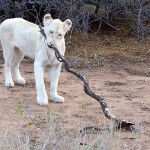 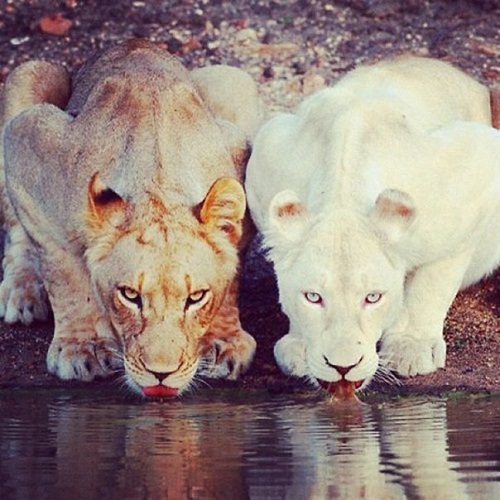 In fact, white lions are unique to the Timbavati area of South Africa and are not albinos but a genetic rarity.